Blogging is now a widely accepted form of communication and information sharing. Bloggers are well respected, and the most prestigious ones appear on national television shows, are book authors, and land endorsement deals. But when blogging first became popular, there was no real way for someone to protect the content they created. Other sites could come and “scrape” the posts, or use them as their own in order to gain readers. Now, through Google Authorship, Google’s latest innovation, it is easier for a blogger to protect the content that’s rightfully theirs. Google Authorship is one of the most important features found on Google Plus. It allows a content creator to build up both rank and trust (known as Author Rank) based on the type of content that they create for different websites. Over time, Google can determine a writer’s expertise in these subjects, and can rank the authors and their work accordingly. This makes it easier to separate true professionals from “I live in my mom’s basement and want to get Internet famous” writers. Those who hope to stand out among the ranks should create content that is regularly updated, original, and worth sharing. The more legitimate content that a person publishes online, the more likely they are to be deemed an authority in their particular area of interest. In addition to this perk, Google also makes it possible for bloggers to protect their unique work. In order to enjoy these benefits, the writer just needs to create a Google Plus profile so that they can have their articles properly attributed to their name. It doesn’t matter whether you work with a static HTML website or a site that’s powered by WordPress, you can easily claim your own online efforts. How does this help a business owner? Regardless of whether you consider yourself a full-time blogger or you do it to promote your business, when you are able to get credit for articles that you produce on the Web, it helps to establish your presence online. When Google deems you an authority in an area, whether it’s physical therapy, engineering, marketing, or anything else, it can help to draw more customers to your business. This is because you’ll appear more trustworthy, and also because it will become easier to find you instead of one of your competitors. It’s easy to get going with Google Authorship. First, you must set up a Google Plus profile. For those who were hesitant to do so in the past, this new component is an important reason why Google Plus is necessary. Though Author Rank is a relatively new feature, Google explains that it is already working on ways to expand the functionality of the tool in an effort to cut down on spam and increase the relevancy of the feature. 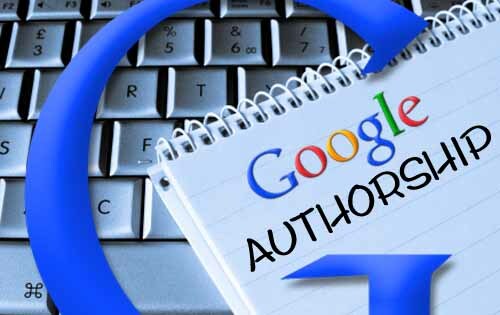 For those who are hoping to establish themselves or their business as an expert in a particular field, learning about Google Authorship and Author Rank is necessary. Though the feature will probably continue to evolve and shift, it can prove useful to business leaders and bloggers alike. Reblogged this on The Muses Guild:2014.